What’s great about garage conversions are that the walls and foundation presently exist, so you won’t need to shell out any more money in them. Obviously, the walls will probably need to suffer modifications and upgrades, to make them suitable for a room in which you will live, like being insulating enough and with additional windows. Also, since the garage already appears on the blueprint of your property, you won’t have to make any adjustments to it and waste money on specialists. All you need to do is to contact a local builder who knows how to manage the building works, and by the time this process ends, you’ll be able to enjoy a completely new room. What Will You Use Your Converted Garage For? Before beginning to convert your garage into anything else, you need first to consider what you are going to use the newly accumulated space for. Could it be a gym? A new room for your children? A brand new office? Or just an area where you can hang out with your friends? According to your plans, the space inside the garage can be prepared to meet your needs. The floor will need some reconditioning, to make it ready for hardwood flooring, tiles, or whatever you would like to use there. Windows will be another significant modification that will be done in your garage since the majority of garages do not have any windows. And even if they have, you will probably want to improve them. The garage door, made to allow a car in, will be totally removed, and a new wall will emerge in its place. Also, if you don’t have an internal door to make the connection between this space and the rest of your home, one will need to be set in place. After these changes are made, the garage will start looking for a new room, just waiting to be setup according to your requirements. Any loft conversion will at the very least have to meet building regulations and be inspected by the Building Control Surveyor from your local council. Before starting work on a loft conversion you need to have a basic understanding of building regulations, planning permission and permitted development. In this blog we have prepared some straightforward guides that will help you understand the regulations and give you a perception of what may be needed for the conversion. It is essential that your loft conversion satisfies all of the regulations and permissions that apply. Without them you’ll find yourself being ordered to remove any alterations and you might have challenges if you decide to sell your house at a later date. If your loft conversion is intended for use as new accommodation, for instance a bedroom, study or office then you will need to make a Building Regulations application. Building regulations are used to ensure that any building or alteration work complies with the set standards for the design and construction of buildings, mainly to ensure the health and safety for those living in or around the building. Also, they are increasingly used to make certain that the building is power efficient and that access to the building has been considered. 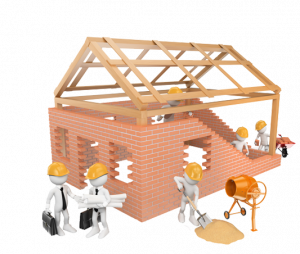 Under permitted development you can make improvements (such as small extensions or loft conversions) to your home without receiving planning permission. The rules were updated effective from the 1st October 2008 to reduce red tape and encourage home owners to develop their homes. The good thing is that lots of loft conversions can be built under permitted development rights. 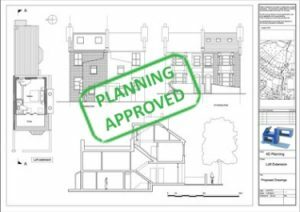 If you are making changes to the external appearance of your property, then you may also need to obtain planning permission. In the UK you’ll need planning permission (sometimes called planning consent) if you would like build on land, or if you want to modify the use of land or buildings. 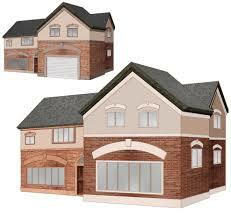 The necessity for planning permission was introduced in 1947 under the Town and Country Planning act. Interestingly, all buildings and land uses that existed prior to 1947 were granted planning permission, and it was only after that date that planning permission was needed. The current version of the act is the Town and Country Planning Act 1990 if you choose to have a look you will have to put some time aside because it is a very lengthy and complex document! The Local Planning Authority (LPA) is responsible for granting planning permission. The LPA is normally your local Borough or District Council who will usually have a website with all of the relevant information and forms.